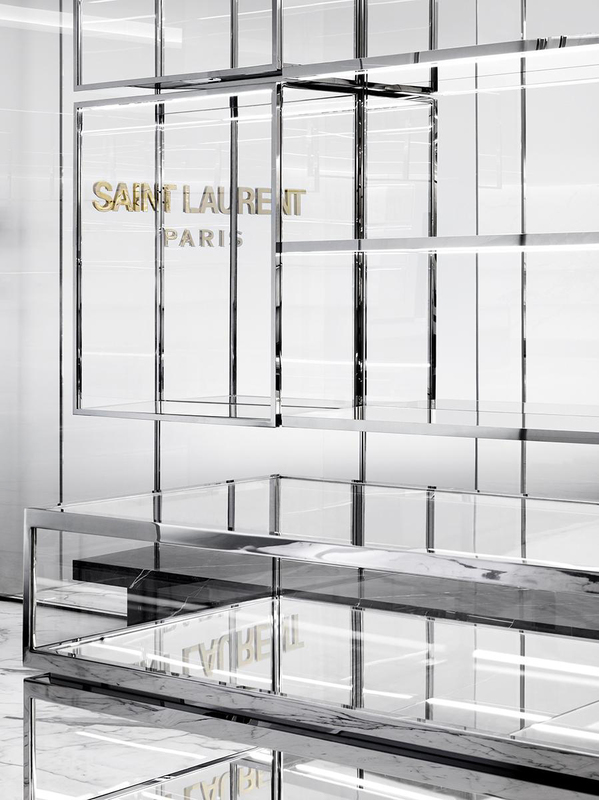 French fashion label Saint Laurent is set to reopen its London flagship on Sloane Street, with interiors designed by the house’s creative director Hedi Slimane. According to the brand, the concept was created and ‘architecturally envisioned’ by Slimane in a style he terms ‘modern art deco’, and was realised in collaboration with the Saint Laurent in-house architectural team. 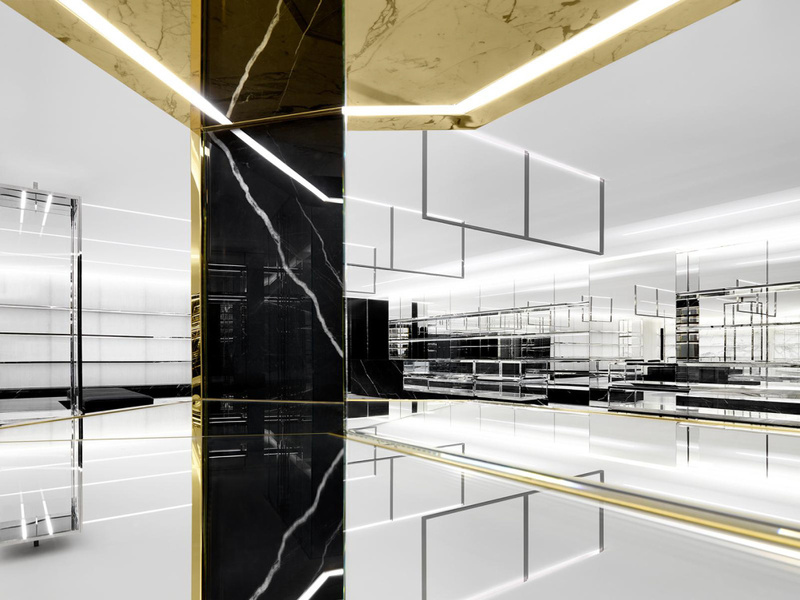 The interior designs are based on a ‘minimalist transposition of the techniques and materials of the French modernist movement’, says Saint Laurent, aiming to create ‘an air of serene, contemporary luxury’. 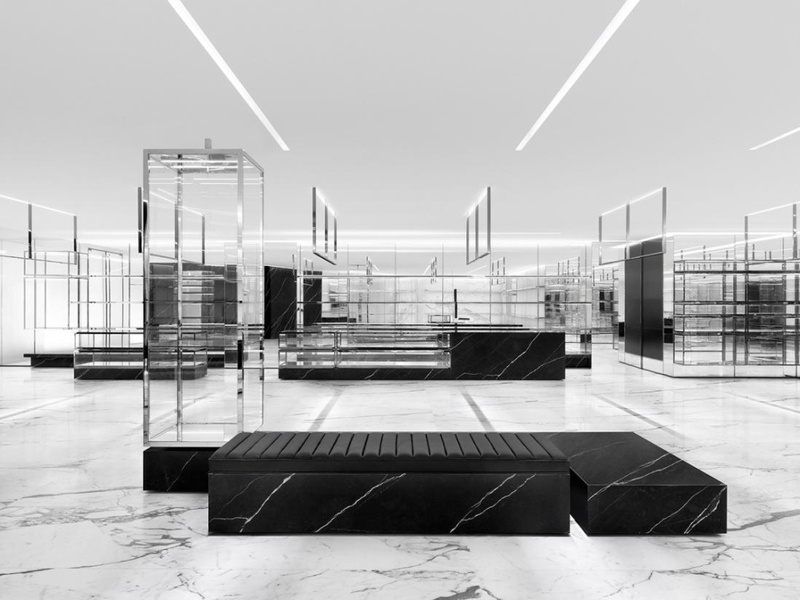 The three-floor store will use a mostly monochrome colour palette, and features include marble, silver and gold 1930’s mirrored vitrines, concrete flooring and dark quilted leather upholstery. Suspended nickel-plated brass hangbars will cut through the space alongside marble display podiums. The Sloane Street store is due to open in February 2014.